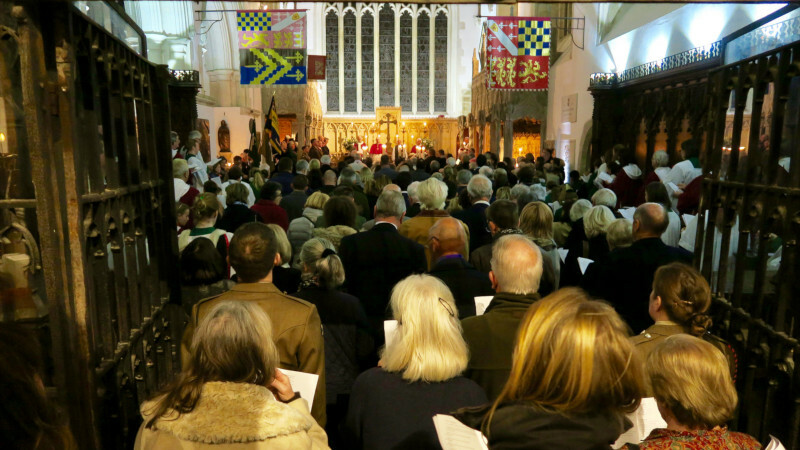 To mark the centenary of the Armistice St Nicholas’ Parish Church and Arundel Cathedral organised a very special service of remembrance. On the evening of 18th November Christians from across Arundel, along with the bishops of Chichester and Arundel and Brighton, and the Duke and Duchess of Norfolk, and representatives of the armed forces came together to pray for those who gave their lives in the service of their king and country, especially from our town of Arundel, and commit themselves to work together for unity and reconciliation. At the climax of the service there was a procession through the medieval gates to the Fitzalan Chapel where we held an act of remembrance. This was the first time that the gates had been opened since 1995. Following the service the Duke and Duchess kindly invited the congregation to join them for drinks in Arundel Castle’s spectacular Barons Hall. To see some photos of this moving service please head over to Flickr.